Imagine Finding it Fast and Focusing on Only the Important Parts. Where Was That Statement I Needed? 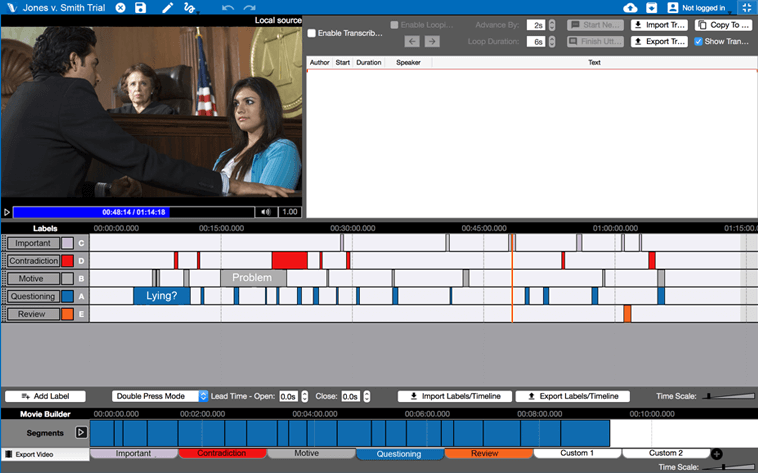 Do you have many hours of video or audio depositions? Need to label and sort through them quickly? Want to add transcripts? Have to put important clips together and export as a new video? V-Note® lets you create hotkeys for any event type or speaker. While watching the video or listening to the audio recording, simply press the key to label the instances wherever you like. At the bottom, you can play only the questions or only the instances in which John speaks. Or drag and drop to combine clips in any order to play or export. Save time by marking instances on your videos while you record them using our V-Note iPad® Edition® or V-Note iPhone® Edition®. Once recorded, you can even upload the project to our secure server to share it with colleagues to add notes and review in-context. 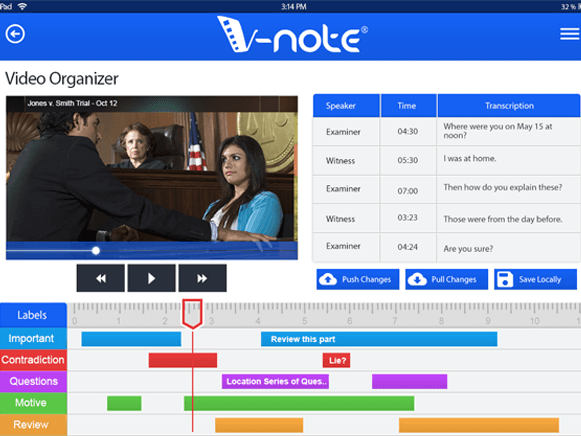 V-Note® Video Analysis Software helps you to strategize together online using primary sources. Use your favorite spreadsheet or statistical analysis program for further analysis. Play two clips at a time to compare. Draw on your videos; See what others draw too. Add notes to the labeled instances. Share projects online; Learn how others see things. Add transcripts (with full support for conversation analysis). Sync external audio such as an announcer track. 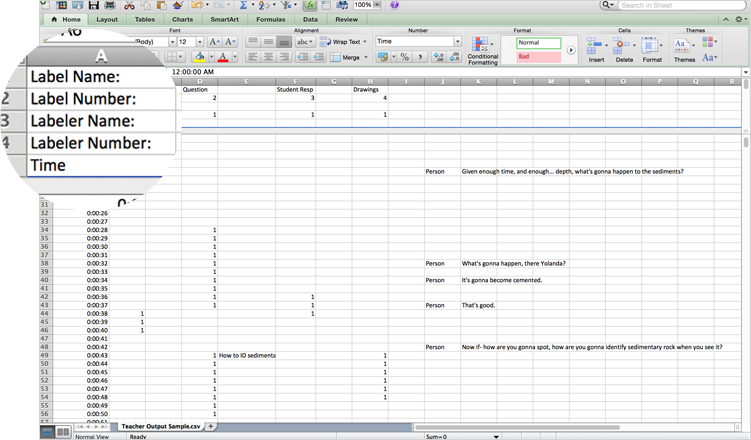 Export raw data to your favorite spreadsheet program.